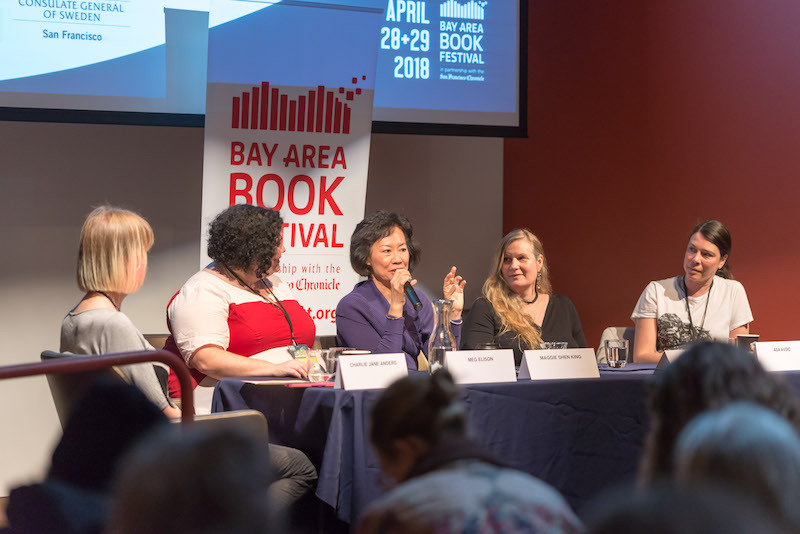 A waxing moon rose over the Berkeley hills as the curtain rose on the fourth Bay Area Book Festival. An international literary crowd gathered for cocktails at architect Julia Morgan’s “Little Castle”—so named because it bears kinship with Hearst Castle down the coast, which she also was designing circa 1929. In keeping with the period, many wore sparkling headdresses, beaded frocks, glittery bracelets and earrings, intriguing vests and distinctive shoes. Cherilyn Parsons, BABF founder and executive director, greeted us at the entrance of the candlelit grand ballroom. 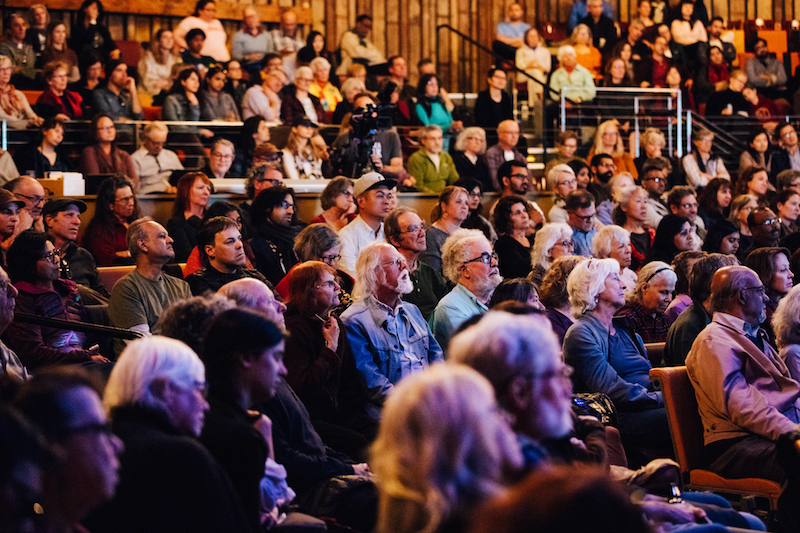 For this year’s festival—250 writers in 100 sessions—she took her theme from Virginia Woolf’s A Room of One’s Own, emphasizing the voices of women and other underrepresented writers. El Cerrito poet laureate Maw Shein Win had just given five readings in a week from her new poetry collection, Invisible Gifts. Oakland’s Michael David Lukas, who was appearing on a “writing and risk” conversation on Sunday with Laleh Khadivi, had a new novel—The Last Watchman of Old Cairo—and a newborn daughter. San Francisco Chronicle columnist Vanessa Hua’s first novel, A River of Stars, is coming in August. Irish author Eimear McBride was setting out on a Beckett-inspired project, as the inaugural creative fellow at the Samuel Beckett Research Centre at the University of Reading. Susan Griffin was writing a new book called Strong Men, about masculinity and authoritarianism (she was at the festival to moderate a panel on extremism). Aya de Leon just finished book four in her Justice Hustlers series. Marie Mockett was writing a book called A Kernel In God’s Eye, based on her travels with evangelical Christian harvesters through seven red states. 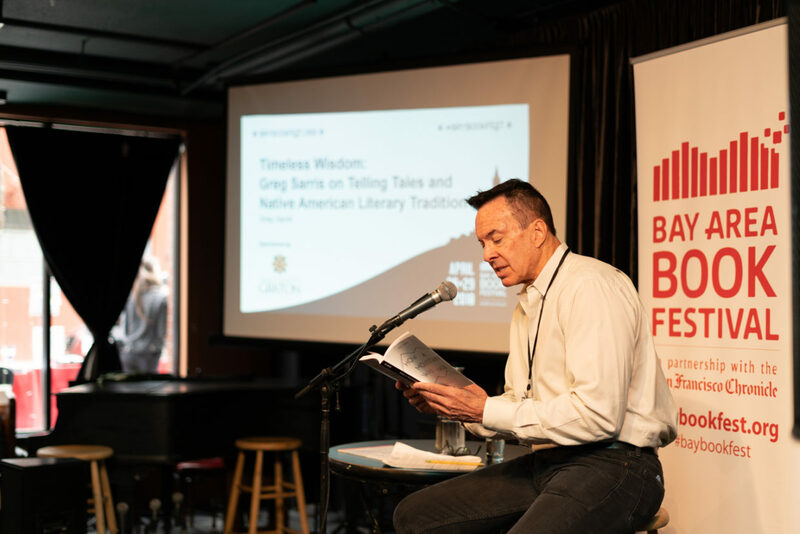 The room was abuzz with energy by the time Parsons, San Francisco Chronicle publisher Jeff Johnson, Berkeley Mayor Jesse Arreguin, and KQED general manager Jo Anne Wallace took to the stage for the official welcome. The next morning the festival would take over downtown Berkeley. 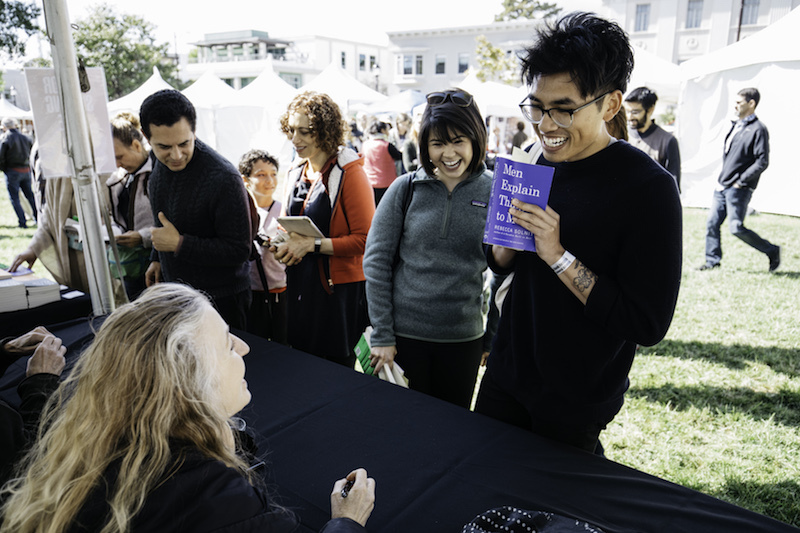 Saturday morning booklovers converged on the BABF’s free outdoor fair, with dozens of white exhibitors’ tents and a 600-seat main tent, spotlighting rousing talks by two-term US Poet Laureate Juan Felipe Herrera and Bay Area icons Alice Waters and Rebecca Solnit. 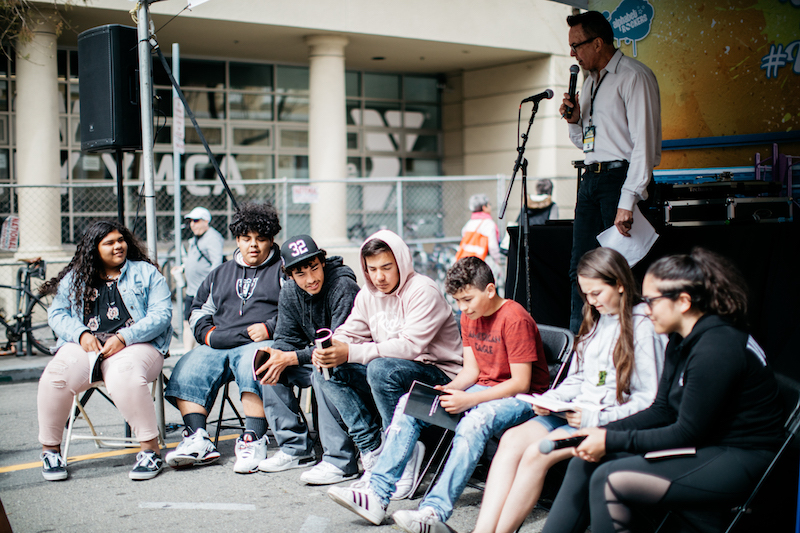 There was fun for all ages, from hip-hop Alphabet Rockers to Dave Eggers’ 826 project, and free books that sent youngsters scrambling with glee. Viet Thanh Nguyen, a UC Berkeley graduate, discussed art and politics with novelist Karen Tei Yamashita. He was witty: “The Pulitzer Prize, has insulated me from anti-communism in the Vietnamese American community, because you know what trumps anti-communism? Vietnamese desire for American approval.” And also serious: “There are countless films, articles, books about Vietnam but 98 percent of them are written by Americans. So we only ever see the American point-of-view.” The two concluded that Asian communities should work together as allies for change. Later Nguyen told me he was halfway through a sequel to The Sympathizer, partly set in Paris. 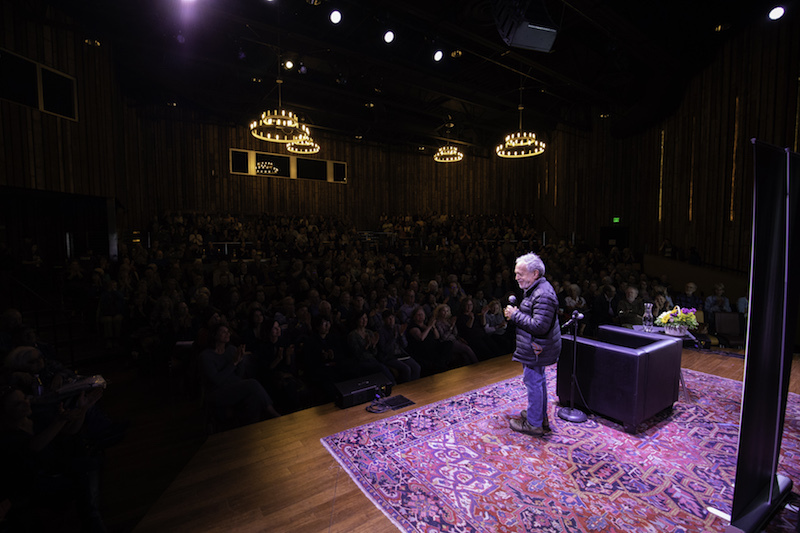 Back at Freight and Salvage, at the most crowded session in the festival, people listened intently as revered Pulitzer prize winning Zen poet Gary Snyder, who turned 88 on May 8th, joined his longtime publisher, Jack Shoemaker of Counterpoint Press, editor Laurie Glover, and science fiction writer Kim Stanley Robinson to talk about civil disobedience—taking on a peak in the Sierra and naming it Mount Thoreau. Lines for the authors to sign Naming Mount Thoreau snaked out the door into the cooling Berkeley air. Saturday evening at eight I met up with Tom Barbash, whose novel The Dakota Winters is coming in late December, and Christian Kiefer to introduce Alison Maclean’s 1999 film of Denis Johnson’s Jesus’ Son. 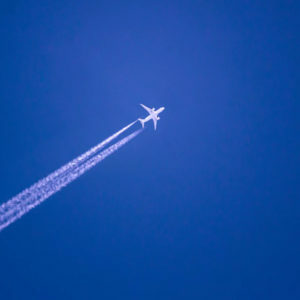 The Saturday night showing was part of the eight-film series curated by Tom Luddy, co-director of the Telluride Film Festival, for the BABF and the Berkeley Art Museum and Pacific Film Archive (BAMPFA). When Jesus’ Son came out, the New York Times’s A.O. Scott wrote that Billy Crudup as narrator Fuckhead was “like Candide strung out on every drug he can find.” When the collection was first published, Johnson remarked, “Jung once said inside of every alcoholic there’s a seeker who got on the wrong track.” Barbash, Kiefer and I talked about how Johnson manages to make write stories that are chaotic but not unclear, the wonders of the director’s use of light, how the abrupt pivots Johnson makes are perfect for film, and Johnson’s cameo. (He plays a man who arrives at the emergency room with a hunting knife in his eye.) When the lights dimmed we joined the audience. The car crash came a few minutes into the film. Sunday brought clouds and chilly weather. 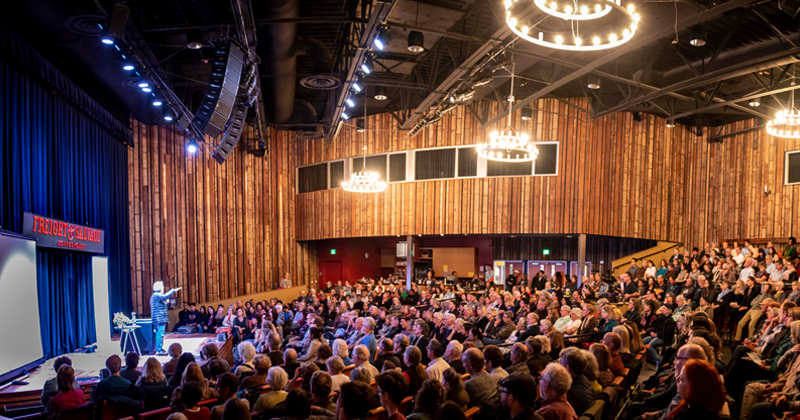 The crowd outside Freight and Salvage was bundled up as they waited to hear 92-year-old Dr. Edith Eger, a trauma psychologist who survived Auschwitz, engage in conversation with Elizabeth Rosner, the daughter of Holocaust survivors whose memoir Survivor Café explores intergenerational trauma. “They could beat me but they could never murder my spirit,” Dr. Eger said. The message of her memoir The Choice: “We have the capacity to hate and the capacity to love. Which one we reach for, is up to us.” She so moved the audience they gave her a standing ovation. A group of four literary descendants of Atwood, Butler, and Le Guin, energized the early afternoon crowd at the Magnes Museum in a conversation moderated by Charlie Jane Anders (her next novel, The City in the Middle of the Night, is coming in January). 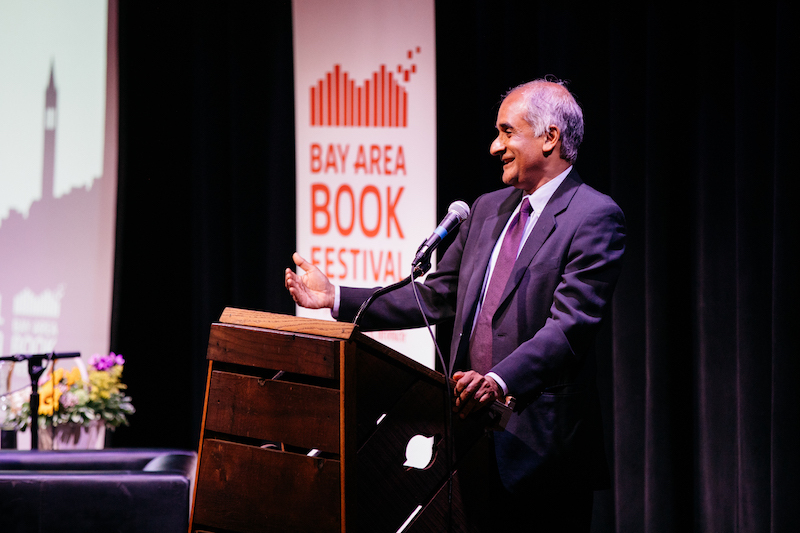 The finale of the festival was a warm, generous, elegant talk about the power of literature to create a better world by novelist and travel writer Pico Iyer, who was born in England to Indian parents and moved to California when he was seven. 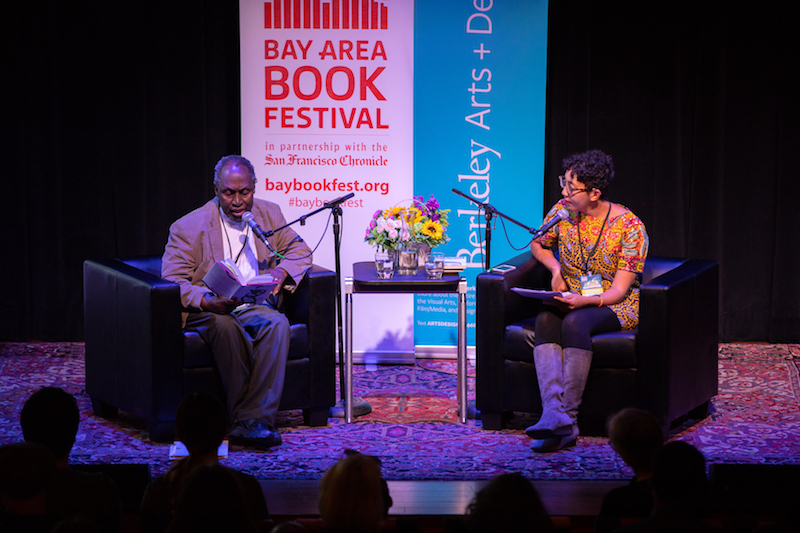 Iyer was joined onstage by editor/author/critic John Freeman. They spoke of books they loved (Iyer rereads The Quiet American and The Snow Leopard every year), the power of solitude, and the urge to simplify. “Where is your home?” Freeman asked. The extravaganza of reading, writers and writing, imagination and ideas, had come to an end. Daylight lingered, but the white tents at Berkeley’s center were empty now. Monday morning was just around the corner.